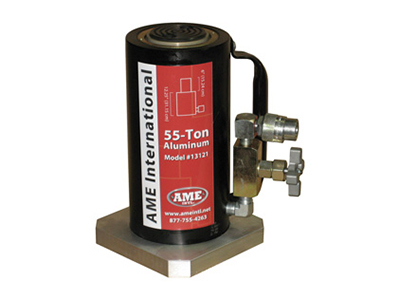 The AJ-506-B 55-ton aluminum jack is easy-to-handle and lightweight, it can be used with any 10,000 PSI pump. Perfect for off-highway work. Comes with a 7" x 7" aluminum base.